Video production is another hobby in the many list of hobbies that I wanted to get into. This is meant to be a fun video documenting the real life challenges that many gardeners experience. On the last gardening outing, one tomato plant in particular looked a little thirsty. It was very strange as it should not be. A closer inspection revealed a desiccated trunk. 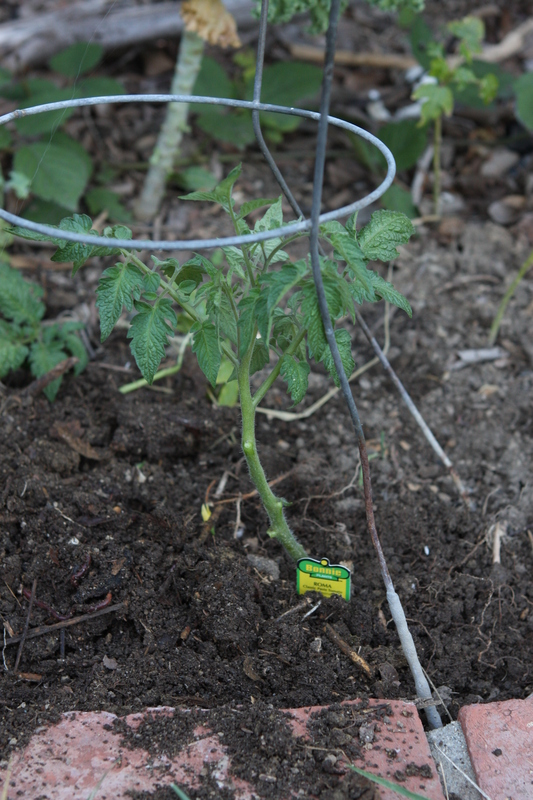 Worst of all, it was the tomato that I had looked forward to the most– the Weissbehaarte heirloom sweet tomato. Luckily there is a back up plant. It was only a matter of digging it out of the ground and moving it. The back up plant was only transplanted a couple of days ago; leaving little concern that its roots would be disturbed. As far as to what caused the original plant to be damage is anyone’s guess. I could not put my finger between: pill bugs gnawing the trunk, a furry animal or cat trampling the plant, the strong winds from a couple of days ago, or one of the kids accidentally knocking into it. A video series for tomato fans. Follow along our year of tomato growing for 2018. In this episode: An overview of the growing year. This is the year we finally satisfy our sweet cherry tomato curiosity by growing three varieties, Suncherry Extra Sweet (h), Sun Gold (h), & Weissbehaarte. Additional new varieties: Black Vernissage, Golden Jubilee, Copia, Druzba, Kelloggs Breakfast, Principe Borghese, (semi-new) San Marzano. The heirloom Black Prince tomato is ready for harvest. Let’s see what it looks like inside! Heirloom Black Prince indeterminate tomatoes grown from seed. Grown in Zone 1 (Permaculture) so as to allow them to vine ripen with lesser chance of rats and birds chewing on them. Pest management is a hands-on and observation approach. 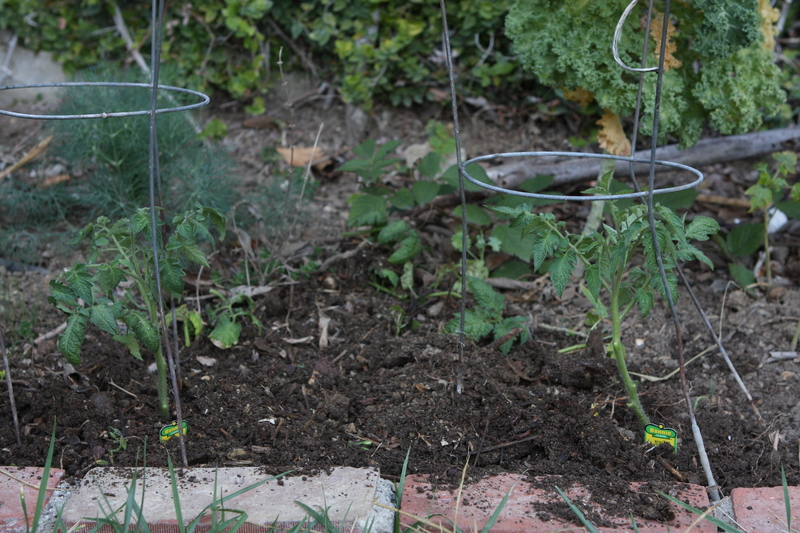 The tomato plant naturally grows a dense cover for itself. Many tomato growers prune their plants as a result. Even with pruning, there is still enough foliage to go around for pests like tomato horn worms and katydid. These pests have been spotted and have not been removed. When they become a problem, they will be removed and turned into fish food. This observe and interact approach requires less labor and external outputs (like needing pesticides). Forgoing the use of pesticides frees the budget up. Further, it does not attack the beneficial insects. Insects like spiders find the plant home and their hunting ground. 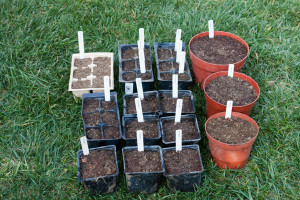 When you are a gardener, people know that you are the go to person when it comes to plants. They may ask for plant sitting favors. 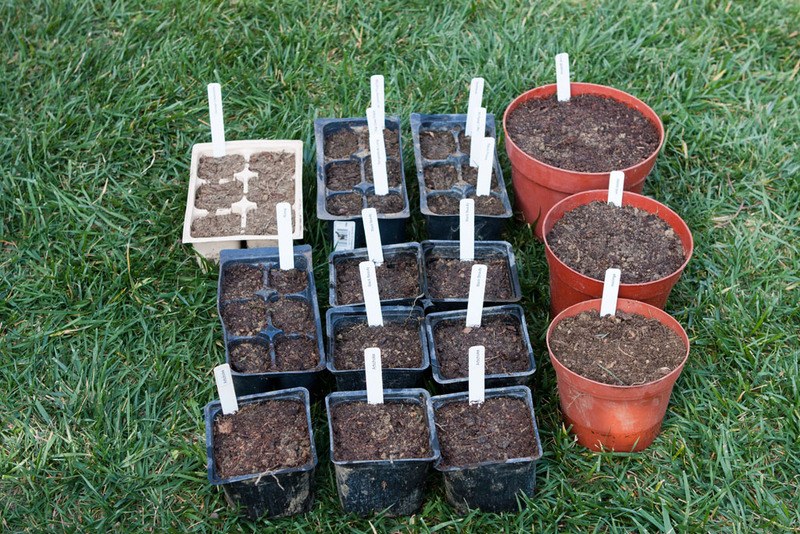 Fellow gardeners will share their plants with you. Once in a while, you may be called upon to foster a plant. I had such opportunity for the first time when a friend with a couple of Roma tomato plants sent a text over asking if I would be interested in fostering them. They were used for a photo shoot and now they needed a home. 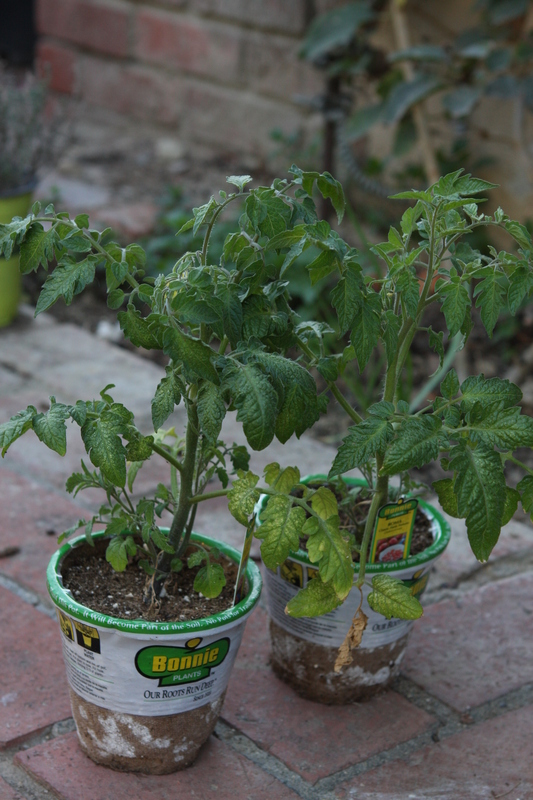 Fostering these two Roma tomatoes. Roma tomato planted and topped off with compost. Some of the leaves closest to the ground have been pitched off. This helps reduce the chance of mold spores bouncing off the ground and onto the plant.